We are very excited to share with you the latest results from our CGC Masters Swim Club and our CGC Diving Club. 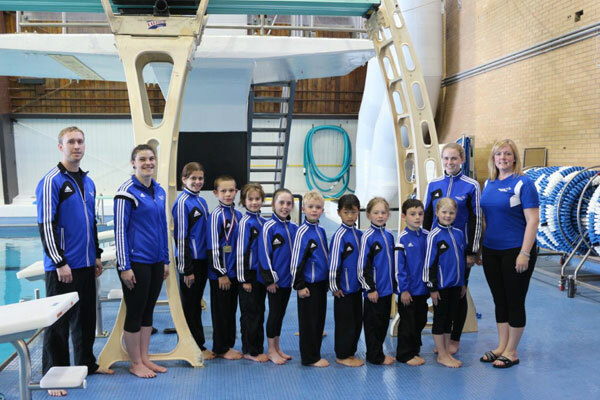 Both teams competed at their respective provincial championships this month and we, along with the competition, were blown away by their results. We sent a small, but mighty team of three swimmers to the Master’s Swim Nova Scotia Provincials, who raced their way to 14 medals, 271 points and a 5th place finish overall. Way to go Ewa, Carmen and Gabrielle! Full meet results are posted on the Swim Nova Scotia website. You may have seen them training in the Aquatics Centre in the evenings. This dedicated group of athletes and coaches (not to mention parents) make up our CGC Diving Club and continue to grow stronger everyday with great results. 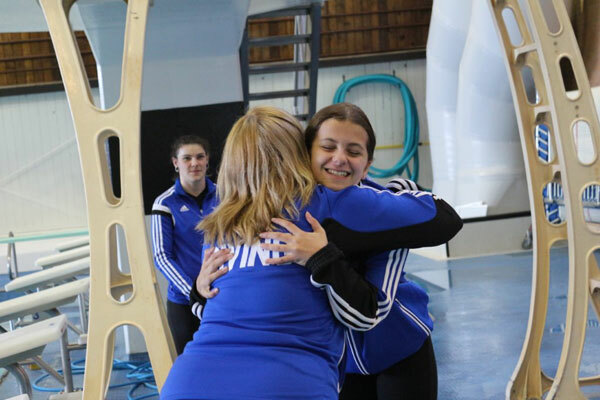 Most recently they competed at the Atlantic Diving Championships where CGC established that not only does our team have the most fun, we are also quickly becoming a diving force to be reckoned with. Carmen Landry receives her placement and a hug from Head Coach, Amanda Layton-Malone. The team on day two of competition. Our youngest athlete is just six years old! 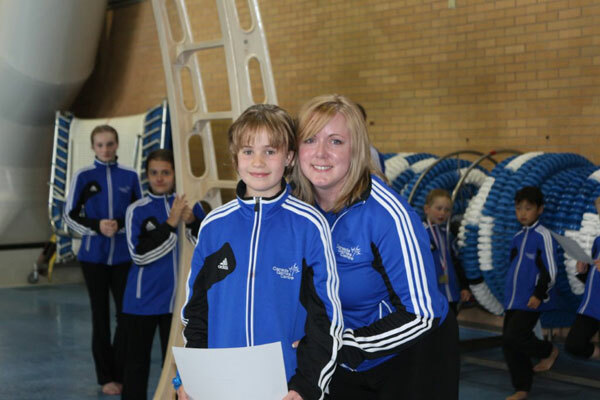 Our newest coach, Madeline Whitehouse had her very first experience coaching at a competition. I am very proud of our performance at the recent Atlantic Championships. We achieved many medals and placements that were well deserved. Each diver represented the Canada Games Centre with integrity, pride, and confidence. 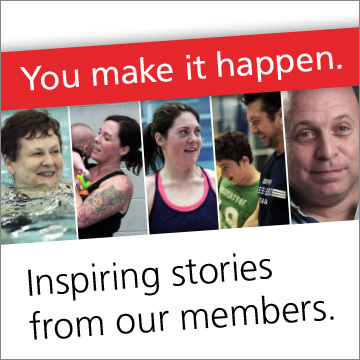 We have certainly made our mark as one of Nova Scotia’s strong diving clubs. 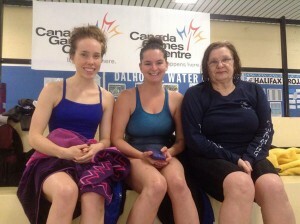 I look forward to the next event, the New Brunswick Diving Championships, that will be held at the end of June. Wish our divers good luck when you see them on the pool deck! Special thanks to Alan Song, one of our wonderful diving parents, for capturing those photos.